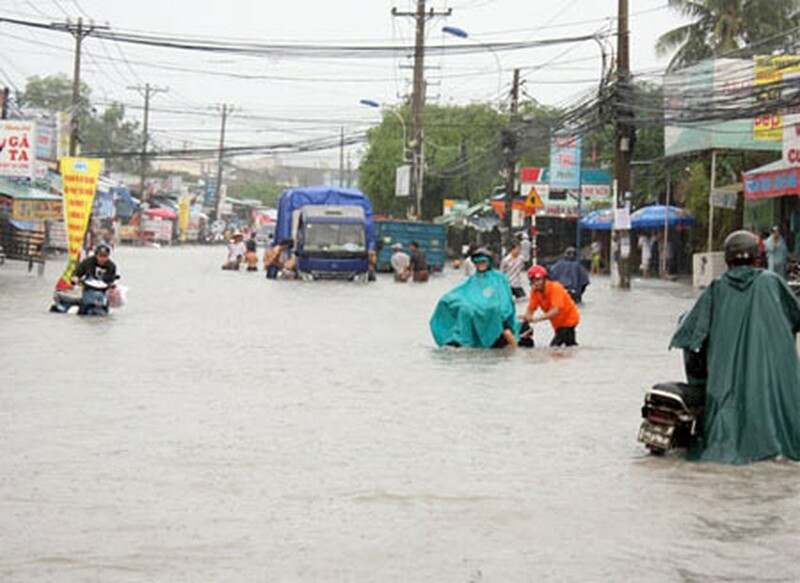 Heavy downpours July 1 prompted flooding at the Tan Son Nhat International Airport in Ho Chi Minh City and the cancellation of several domestic flights that afternoon. Water leaked from the ceilings of the airport’s domestic terminal and overwhelmed drains near the check in area. Power was cut and Vietnam Airlines and Jetstar Pacific Airlines had to halt their domestic flight check in procedures from 1:00 pm until about 1:20pm. Several local and two international flights were unable to land or take off, and many other flights were delayed, according to the Southern Airport Authority. Some customers at the airport said they missed their flights due to traffic jams caused by floods on Bach Dang and Phan Dinh Giot streets. Nearly five hours of straight rain from 11:30 to 16:00 flooded many roads in districts 6, Tan Phu, Tan Binh, Binh Thanh and Phu Nhuan. 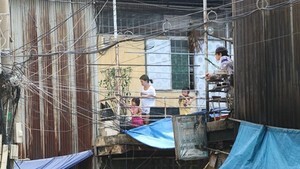 The heaviest floods were seen on Go Dau, Truong Vinh Ky, Tan Son Nhi, Luy Ban Bich, Au Co, Truong Cong Dinh, Hong Dao, Pham Phu Thu and Hoang Van Thu streets, where the rain-water eventually built up and flooded people’s homes.